Wasuremono continue to ramp up interest in their June album release with 'Are You OK?' where synth textures and layered vocals combine with melodic hooks. Hafdis Huld's fifth studio album is a collection of thirteen incredible cover versions, where she reinterprets some classic songs in a really imaginative manner. Julia Rakel's new E.P. is shared in full, it's a creative affair as she digs into relationships, doing so in a very individual and colourful way. 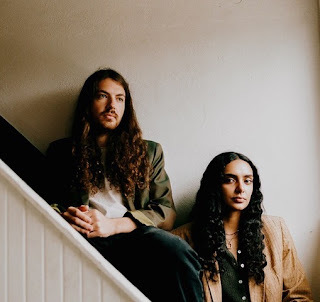 'Willow' from Junaco is a desirable indie song where the vocals are beautiful as they drift above a clever musical backdrop. Wasuremono - Are You OK? Wasuremono have announced their new album 'Are You OK?' will be released on June 14th, they have also shared the title track from the album after teasing the news with previous single 'Lonely Type'. New album, ‘Are You OK?’ was written and recorded by multi-instrumentalist William Southward in his shed. On the newly released title track, Southward has said that the song, "seemed to turn into a pep talk to myself, with themes and sounds of the seaside and clearing the mind asking yourself or someone else ‘Are you ok?’. It’s got a really 80’s vibe to this song with the help from the Linn Drum Computer pounding through the song backed up with synth sounds played on an old Yamaha Dx7." With the enlistment of friends Madelaine Ryan, Isaac Phillips, and Phoebe Phillips, Southward’s songs come to life. Wasuremono will be performing across the UK this summer in support of 'Are You OK? 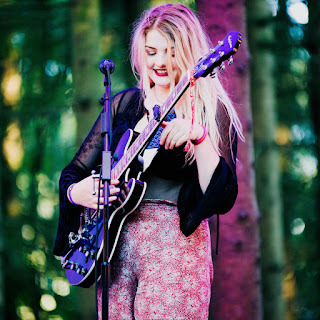 ', with stops at festivals including Live at Leeds, The Great Escape, Bluedot, and Dot To Dot, as well as a headline show at the Sebright Arms in London on June 19th. Hafdis Huld - You're the First, The Last, My Everything. Hafdis Huld’s fifth studio album 'Variations', is a collection of her own versions of songs by other artists. Consistently different, she and producer Alisdair Wright devised simple arrangements that focus attention on the lyrics, often revealing stories with surprisingly dark and twisted undercurrents beneath the smooth surfaces. 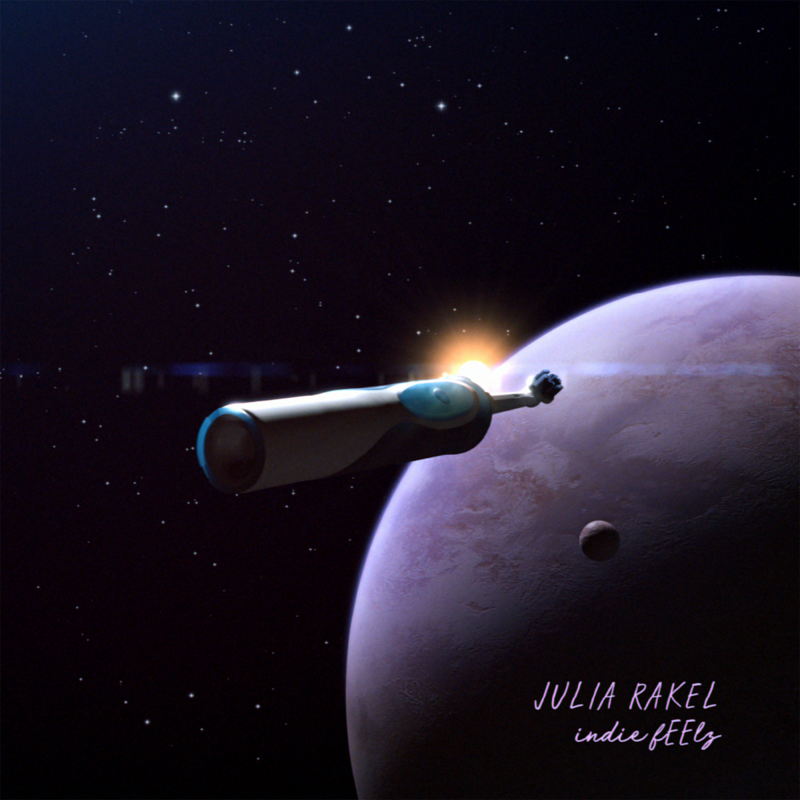 Julia Rakel - indie fEELz EP. Umeå-via-Malmö Swedish musician and producer Julia Rakel is the latest addition to Stockholm indie label Rama Lama Records' (Melby, Steve Buscemi's Dreamy Eyes, Chez Ali etc.) roster. 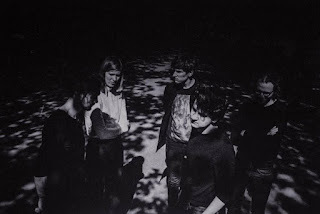 Singles PDFILWM and People was released early 2019 and have since grabbed the attention from influential Swedish media as well as international blogs, calling them "lo-fi gems". Debut EP 'indie fEElz', the first collection of and look into Julia's peculiar bedroom pop, is out now on all platforms and limited vinyl. The EP is the result of hours of music making in the lonesome bedroom. Julia works at the well-known Malmö studio Tambourine and her credits include sound design for the award-winning short film Plankton. With her expertise as a producer she's refined her stripped-down sketches to a daydreaming beautiful soundscape that develops with every listen. This, put together with Julia's individual vocals and often ironic lyrics, create an intimate and memorable sound. 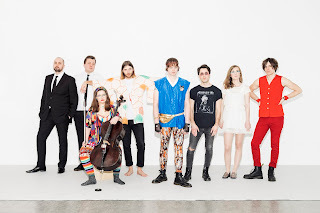 Julia Rakel says that "indie fEElz” is an EP where I try to describe the very different kinds of relationships we have with each other - and ourselves. This with a lot of irony, drum machines and way too many choirs parts. People is about forced acquaintances, A love letter is of course about love, You’re not getting it a desperate attempt to be understood, PDFILWM a sad celebration of friendships, Evel Knievel how we feel about our ego, and Moviestars - a flirt with how ridiculously we’ve all tried to be somebody we’re not." Junaco is the foundation of Shahana Jaffer and Joey LaRosa. Born in the unincorporated mountain town on the outskirts coastal Northern California, the duo found an escape from musical conventions. Fleeing the rituals of rushing through songs, away from the nonsense of worrying, a budding partnership was found based equally on half-parts progression and melody. Mellow bursts of epiphany and pleas of gentle seduction give way to driving grooves in Junaco’s music, leaving the immediate fan with a delicate, instantly familiar and completely unassailable batch of songs. Jaffer, a natural talent whose limbs were too long to dance, met a counterpart in LaRosa, a guitarist and percussionist’s dream who from a young age had been told that “musician” wasn’t an achievable career. 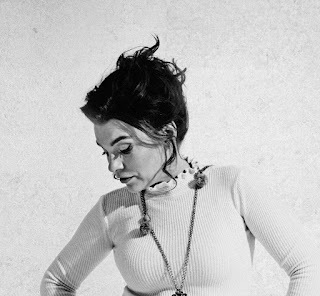 Though conventionally unlikely on the global scale that a Pakistani songstress would find her way into the creative adventures of a drummer from Indianapolis, they found in their partnership a desire to make music for music’s sake; to write honest songs that meant something true enough for themselves, that someone else might be able to take it and make it true for them, as well. The forthcoming EP helmed by Omar Yakar (War on Drugs, Perfume Genius) from Boulevard Recording, whose engineering and production prowess brought this young and refreshing outfit’s mountainous incubations to life. The duo initially set out with the intention of nothing but creation and expression and resulted in a stunning collection of tracks detailing the emotions of freedom. Jaffer reveals, “The underlying theme is about coming to terms with experiences and hardships we have faced and finally putting them out there. It’s very healing”. 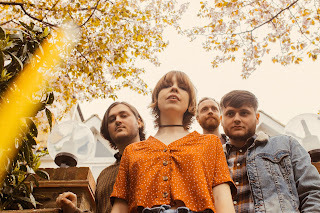 Leading single ‘Willow’ features warm dark tones, ominous instrumentation and soulful vocals which glide gently atop the jangly guitars. 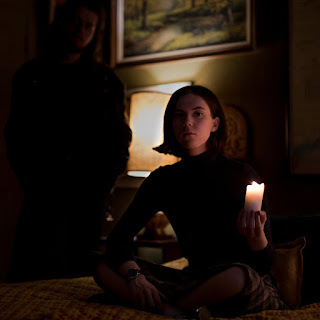 The single emits an accurate and organic feeling through its use of storytelling lyricism and atmospheric soundscapes. Thematically ‘Willow’ is inspired by emotions. “Emotions are often intensified by our surroundings. We rarely separate the two - when we are inspired by a feeling it is all encompassed by the environment we are in. The message of this music is to except those feelings rather than trying to mask them”, confides Jaffer. Junaco hope to create music that will leave listeners feeling a sense of connection and closeness to. With the aim to remind others of our innate human emotions, Junaco’s debut EP highlights just how similar we are at our cores.